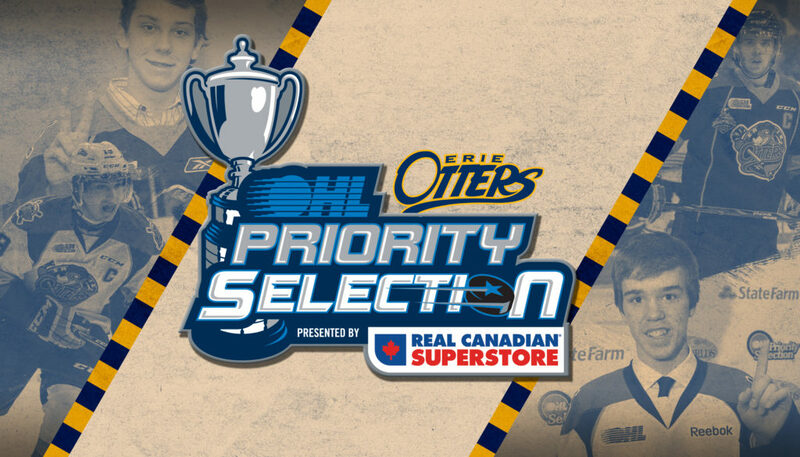 The future of the Erie Otters begins with the 2019 Ontario Hockey League Priority Selection presented by Real Canadian Superstore, which begins at 9 AM on Saturday, April 6th. The Otters will have live updates to this page with all selections through out the day. Be sure to visit the OHL prospective player page here, for all the Ontario Hockey League offers to its welcomed players. Notes: Connor is a dangerous threat every time he is on the ice because of his speed, skill and tenacity on the ice. He is always moving his feet and his skill set allows him to create chances for himself and his teammates. He has a good, accurate shot that he gets off in mid-stride which catches goalies off guard. Connor competes and back-checks as hard as anyone and doesn’t shy away from bigger players at all. He will be a dangerous player at the next level. Notes: Colby has a low centre of gravity which allows him to generate so much power in his stride. He is very elusive in his skating and his turns. Skill-wise, Colby is in a class of his own. He beats defenders in numerous way. He is electric one-onone, has exceptional vision and possesses an extremely accurate shot with pace. Colby is always looking to make his teammates better. He has discipline in all three zones and understands what side of the puck he needs to be on. Notes: Highly skilled, creative offensively, intelligent player. Impact forward each night. Missed majority of season due to injury. Notes: Smart player who makes good decisions with the puck and shows a willingness to join the rush and drive the net on occasion. Notes: Fearless, plays game at optimum speed. Strong work ethic. Delivers every game. Notes: Big goaltender, a calming presence in the net. Tracks pucks well. Notes: Mobile, physical. Good puck mover with a hard shot. Notes: Highly skilled forward, top end speed, good hands distributes the puck well. Notes: Big, athletic goaltender. Good skater with excellent lateral movement.